One of the most frightening places on the planet has to be a prison. This is a place that often houses hundreds if not thousands of the most dangerous people on the planet. These people range from thieves to drug addicts to murderers. And while these places are terrifying when they are full of prisoners, they can be just as scary when they are empty and abandoned. In this article, we will take a closer look at a prison that is no longer in use but now hosts ghost tours and overnight stays for people who love being scared out of their minds. The prison is called the Brushy Mountain State Penitentiary and is located in Petros, Tennessee. The prison first opened in 1896 and operated as normal until 2009, when it was shut down. It was largely built of wood during it’s first few years, but by the 1920’s, it was repurposed with stone. The prison was almost the only unionized prison in the entire state of Tennessee. It held up to 584 inmates during its prime, but one inmate in particular made this place famous. The inmate that this prison was famous for housing was none other than James Earl Ray. For those unfamiliar with Ray, he was the man responsible for assassinating Martin Luther King Jr. He was sentenced to 99 years in prison and after an unsuccessful escape attempt, he would die in the prison in 1998. But enough about the past, let’s take a look at what happens at the prison now. 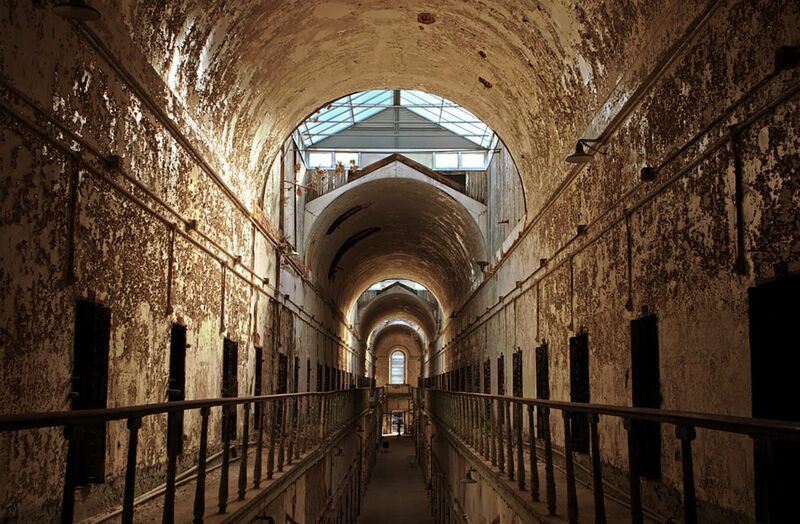 Since shutting down as an official prison, it has been a destination for ghost hunters and those who want to be spooked. Numerous people had perished in the prison throughout the years and as a result, many people believe their spirits still reside there. As a result, there are a lot of events available at the old prison that will surely terrify you. There are not only tours that take place there, but even some overnight experiences in which you can actually stay the night in the haunted prison. But these tours aren’t for the faint of heart, as the place has an extremely eerie vibe to it, even though there are no prisoners still living there. Also, it doesn’t come cheap to explore one of the biggest haunted prisons out there. It costs $1,500 for a group of 12 and everyone participating must be over the age of 21. But for an overnight experience in a place such as this, just over $100 a person doesn’t seem like too much to pay. But before you agree to do something like this, make sure you are ready to be scared as you explore a haunted prison in the dead of night, which is sure to give you the creeps without question. If you are interested in learning more about this place, check out this video.